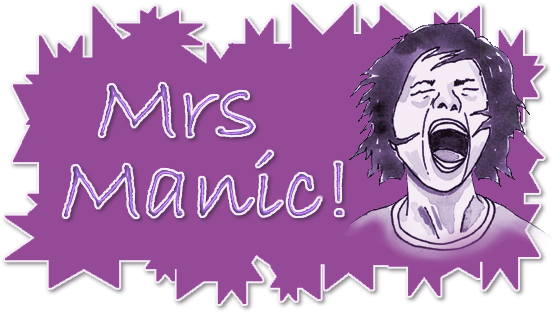 Mrs Manic: Knives at the ready! 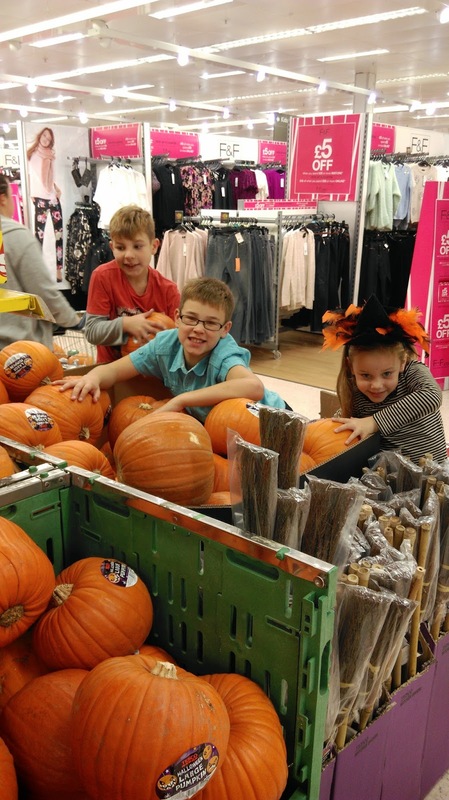 This year saw a trip down to Tesco and Nicholas almost falling in the crates of pumpkins to choose the one right at the bottom.. 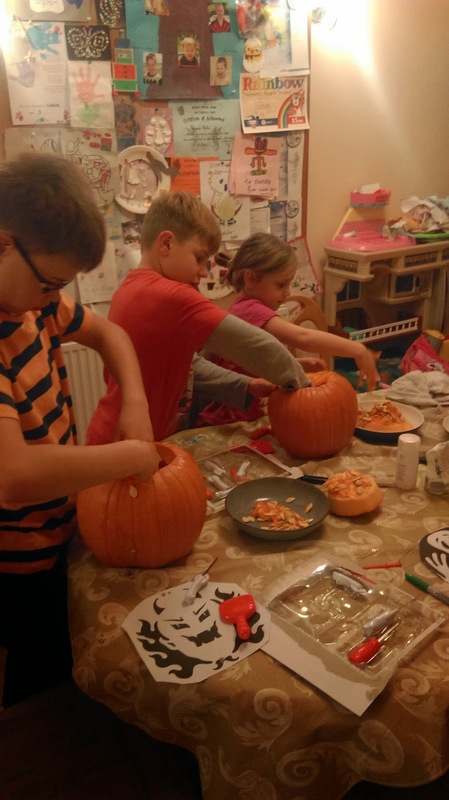 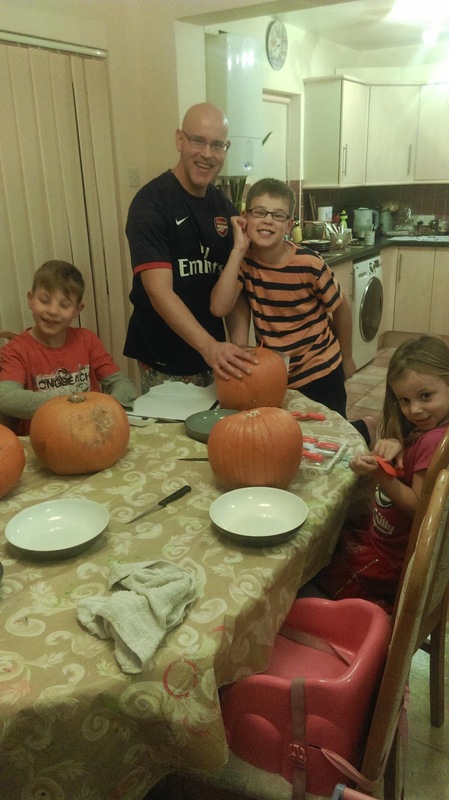 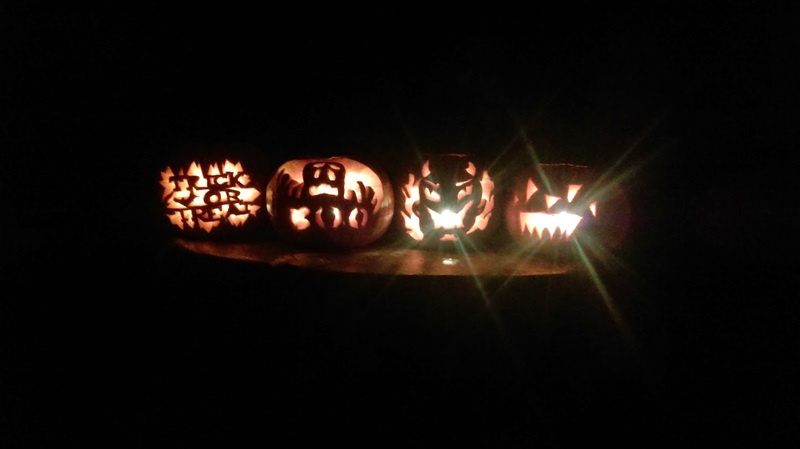 I'd bought everyone a new pumpkin carving kit and after pictures had been chosen, it was time to chop off the tops! 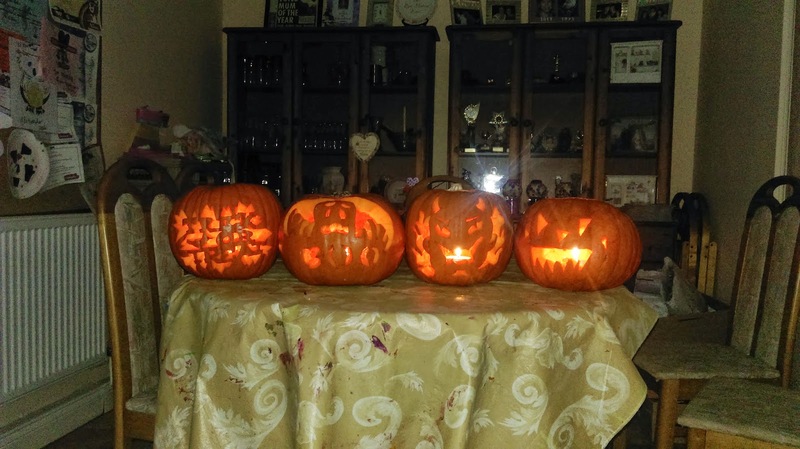 Lee worked hard on Cassandra's one of Trick or Treat, Nicholas did a great job of his ghost & Boo, Alex's fire monster turned out brilliantly and Cassandra and I worked well as a team to get her original Jack'O'Lantern done.